Your domain name is whatever you type into a web browser to arrive at your website. It might seem pretty insignificant, but it is an important part of your organisation. There are some good reasons why you should know who owns it. Your domain name is like a car log book. If you, or your organisations name isn’t on it, then technically you don’t own it. This means that whoever owns your domain can put whatever they like on your site. Scary stuff. Let’s say your domain was registered by another person. They may not be in the country anymore or they may have left your organisation altogether. If the domain was registered to them, they will receive the renewal notification from the domain registrar it was bought with. They may not even use that e-mail address anymore or choose not to renew it on your behalf. If the domain is registered to you then you can make sure it is renewed and keep control of your domain name. If your site is working and providing what you need it to, it forms part of your brand. Web search should provide your organisation with enquiries, opportunity and a place to showcase what you do best. If this was suddenly taken away, what would happen? We often come across organisations that don’t own their own domain name. If you don’t know who owns your domain name, don’t panic, there is a simple web tool that will tell you; whois.com. Type in your domain name, and it will give you the registrants details (unless they have been disabled). You can transfer your domain name by creating an account with any Internet Service Provider such as 34sp, or 123-reg. Once you have an account you can contact them to get a clear process for domain transfer. Before you do any of this you will need to check with your IT and web providers about any implications it may have on your website and e-mails. 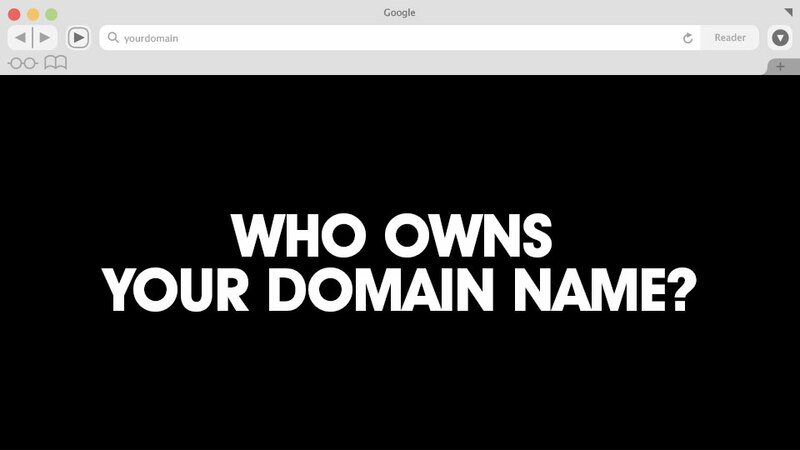 If you do one thing today, have a quick check to see who owns your domain.